One of the best power tools you could ever use for building projects and home repairs is the framing nailer. 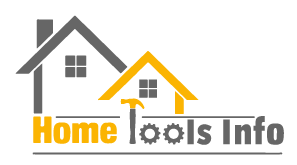 Contractors and carpenters enjoy the speed and efficiency that come with fixing framing jobs with this tool. But selecting a nail gun isn’t all there is to building and construction. How do you pick the nails that’ll work appropriately with your nailer? This post will discuss different types of nails used by framing nailers. How do Framing Nailers Work? In the last two decades, nail guns have been used to improve the effectiveness of projects in the housing, building, and construction industry. Why use hammers when you can use nail guns? Not only have these nail guns been introduced but also they’ve been improved upon. To get your wood framing job done with ease and precision, you need a framing nailer. It’s a heavy duty nailer that performs the bigger tasks of driving nails into woods and ensuring that tasks are neat and well-done. Whether you choose the cordless nailer or pneumatic nailer, you can be sure that both models will serve distinct purposes that reduce stress and time. In fact, many contractors use the cordless models since they are use fuel cells to force nails in rather than the compressor used in the pneumatic model. And even though the cordless costs more, it can be moved around easily, thanks to its ergonomic design and materials. What Nails do Framing Nailers Require? Are you of the opinion that any random nail would fit into the nail gun and be shot without any hitches? Not so fast on that one! There are only two main types of nails which the framing nailer can use: the round headed and clipped headed nails. Both types of nail require a different type of nailer, and it’s essential that you adhere strictly to the instructions in the guide for using your nailer. How then do you get the nails that will work for your type of nailer? Let’s guide you on this. What do You Know about Nails? Of course, nails are used for nailing! You’re right. But that’s basic. Nails come with certain vital parts such as the shaft, head, gripper marks, and the point. When nails are driven or shot into wood, they remain intact as a result of the pressure used and the hold of the shaft against the wood. Indeed, nails come in different lengths and types. Even wire nails, which are the most common, are also manufactured in various sizes and for several uses. In their basic form, nails could have materials such as steel, copper, brass or aluminum. However, they may be galvanized to fit rust-inclined areas or simply plain for general areas. Most contractors prefer galvanized nails since they are guaranteed to keep the wood pieces together for a longer period of time. Nails can have smooth, ring or screw shanks, and they serve different purposes in the construction field. If you’re working on outdoor structures such as porches and decks, you’ll find these nails very useful. They are designed with a zinc coating that protects them from rust, rot, and other harsh weather conditions. The fact that they are strong, durable, and reliable makes them a preferred choice in areas and locations which are prone to hurricanes and other forms of natural disasters. 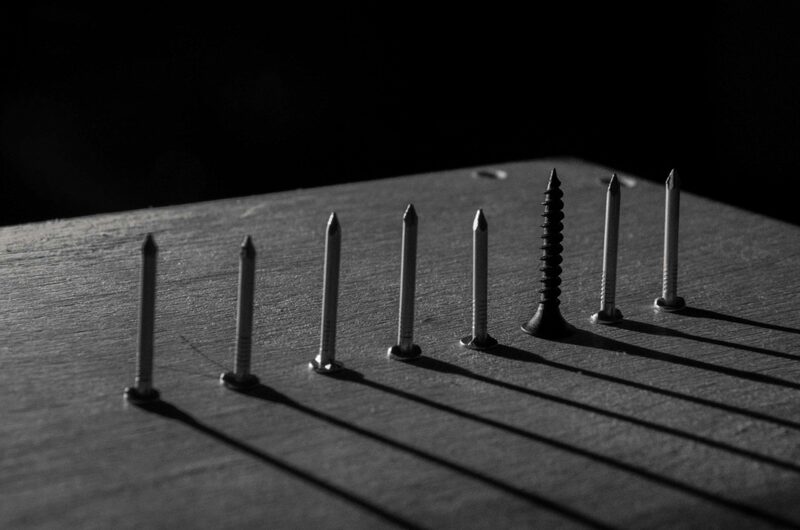 Most random or rough construction jobs are done with common nails, as they have flat heads and barbed shaft, (for instance, spikes). Such nails can be easily driven into frames because of their structure which can be better described as a smooth shank. Such nails are useful in general construction tasks and have sufficient holding power to keep wood together and in place for an extended period. The available sizes of common nails range from one to six inches. You use cleat nails when working on hardwood flooring because they have points which can control how the fastener moves. Roofing nails are one of the nail types that do not use the penny system, and their sizes range from ¾ inch to 1 and ¾ inch. Despite their minimal size, they have extremely large round heads and thick shafts. They can keep roof materials made from asphalt together and are resistant to dust. Brads are small-sized nails useful for cabinets, frames, and plywood paneling. Both their length and diameter are not more than an inch. Box nails resemble common nails, but they possess thinner shafts which make it impossible for these nails to be used for complex wooding or framing jobs. Their slim body makes them displace less wood compared to some other nails. However, their holding power is largely insignificant, and they cannot be trusted for tough jobs. Cut flooring nails are models of the original dominant cut nail, and they’re known to strong and have massive sizes. To keep shingles or clapboards firm, annular ring nails are trusted. They are thin, rust-resistance, and coated in galvanized steel. These nails have spiraled shafts that qualify them for subfloor nailing. Even though they’re one of the oldest nails used in construction, nails and nailers with better designs have reduced their use. If you have to nail outdoor covering, the cement-coated nails would do just fine. And while they look and feel just like box nails in size and weight, they possess more holding power. These nails hold hanging wallboards, and their heads often go right through the panel with the rings attached to their shaft. As the name implies, finishing nails are used to complete wood projects. Their heads pass through the wood surface and produce a fine job when the task is completed. For door casing and windows which require more holding power, casing nails are used. They look like the finishing nails but have larger sizes. These nails have flat heads and smooth shafts, and are made from very strong metal wire. What makes the round nails unique is that they fit any construction task and are strong enough to keep wood together. Masonry nails are designed to enter rock-like materials such as concrete or brick walls. Their strength makes them resistant to breaking or bending. When using these nails, it’s advised that you protect your eyes, since tiny parts of the nails may cause damage to the sight. When using any of these nails with nailers, ensure that you apply caution to prevent injuries of more costly impacts. Do not press the trigger on your framing nailer except you’re pressing it directly against the wood surface. Also, choose nailers with the sequential firing mechanism which allows you to release the trigger before moving on to nail another part of the work. As much as these nailers save you from the headache of hammering your finger accidentally, you should also be careful not to cause other self-influenced harms for yourself or anyone on the location of your construction job. This post has dwelled on the different types of nails which are commonly used with framing nailers. It’s important to reiterate the fact that you do not use just any nail type with any nailer. Find out about the nails required for your framing project before you get started.